CENSUS1850 1850� He appeared on the CENSUS in 1850 at KY; 1850 census shows William Stamps age 83 and working as a farmer with land valued at $20,000. Place of birth given as Virginia. Living with him is William Alexander, his grandson age 30 who is a lawyer and is married to Jane D. age 28 from Mississippi and their two children, William age 4 and John age 2. Residence* 1767� He lived in 1767 at Pittslvania, VA; William Stamps was listed in a history of Pittslyvania County, Virginia. Pittsylvani was organized in 1767 from-----------------. He is listed as a "Tithable" or "First Citizen" along with two brothers Timothy and Thomas. This name given me by Laura W. Glass 9-01. Steinbeck for a time farmed in Elk Point South Dakota. Anna was a young girl at this time. Two strangers came to the farm and requested permission to sleep in the barn for the night. [S59] 1900 Census;, She is shown living with her husband, Gus Nelson and her father Nels Ol Steinbeck. Biography � Hi Margo. I found your webpage on Ancestry.com. Do you know who the other children of Nels O. Steinbeck and Marie Anderson were? On the 1900 census in Sioux City, it shows Nels Steinbeck living with the Gus Nelson family and other boarders. This would have been several months after Marie had died. 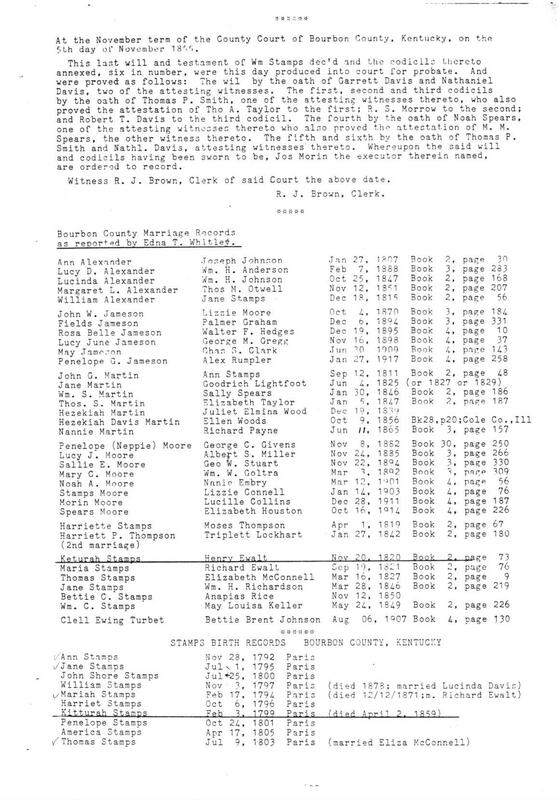 Nels is listed as the father in law of Gus Nelson. Gus' wife was Matilda. I am assuming that Matilda was a daughter of Nels Steinbeck. Do you have any information about her and/or any other children of Nels Steinbeck? Do you have any information on that family in Sweden? I am looking forward to hearing from you. City. Nets won the fight. Thereby having that great distinction. Ha! EMAIL* 2004� In 2004 Here is some information I have for you. I will go up and look at the family tree later. This information comes from a biography of my grandfather, J. Edward Carlson. He came from Sweden around 1883/84 when he was 19 years old. He was born June 11, 1864. He lived with his brother around Ft. Madison, Burlington, Iowa area for a short period of time. There was no employment in that area. He came to Sioux City which was a boom town during the 1880s. He worked as a bread truck driver until he saved enough money to purchase a farm eight miles north of Sioux City on the Broken Kettle Road. When Edward arrived in Sioux City he stayed at a boarding house operated by Nels Olson/Steinbeck and his wife Maria. Olson, would have been his father's name. Nels was born in Stora Bon, Jerbe parish, Dalsland, Sweden, born March 10, 1822. He appropriated the name Steinbeck from his Uncle Rev. Steinbeck in Steneby, Sweden for whom he worked. In America he dropped the Olsson from his name and became known as Steinbeck. In 1854 he married Maria C. Anderson and 11 years later with his family left his native land arriving in New York, August 20, 1865. After short stops in Virginia, Illinois, and Michigan, the family came to Sioux City. Upon arriving in Sioux City in 1867, Nels worked on the Sioux City and Pacific Railroad which was under construction. A short time later he and the family moved to a homestead in the Dakotas (can tell you a story about that concerning Jesse James later) a few miles from Sioux City. A locus or grasshopper scourge forced them to give up the farm and return to Sioux City. Nels and Maria also operated a boarding house in Sioux City, Iowa. They catered primarily to Swedish, and Norwegian, and German immigrants. Maria was very strong willed and determined woman. She had the business sense and operated the boarding house. Nels, was more or less easy going and at times drank too much. That is putting it nicely, he was a quite a drinker. They had 14 children of whom two were born in Sioux City. Anna and Elmer. Anna was my grandmother. Maria died April 13, 1900. Nels spent his last years with his oldest son, Gustaf and his six brothers and sisters. He refused to share the money Nels and Maria accumulated during their life. He was following the tradition in Sweden where the oldest son gets it all. There were hard feelings with his brothers and sisters. Gus, would be my grandmother's brother you were wondering about. My grandfather, Edward met Anna Steinbeck when he first came to Sioux City and stayed at the boarding house. I have more information but it concerns my Grandfather and his family and will now skip to this information concerning Nels and Maria. When they arrived in America in 1865 they were under contract with some landowner in Pennsylvania or some Easten State. This contract required labor on a farm to pay for the passage in bringing the family to America. One of his first jobs was to rebury some of the Civil War soldiers as hogs were rooting them up. There was some misunderstanding about the nature of the contract so Nels felt justified in breaking the contract. A German befriended them by helping the family sneak out at night and boarding a train heading west. Evidently, Nels, did not feel re-buring soldiers was farm work. Nels Steinbeck is considered the first Swedish settler in Sioux City. 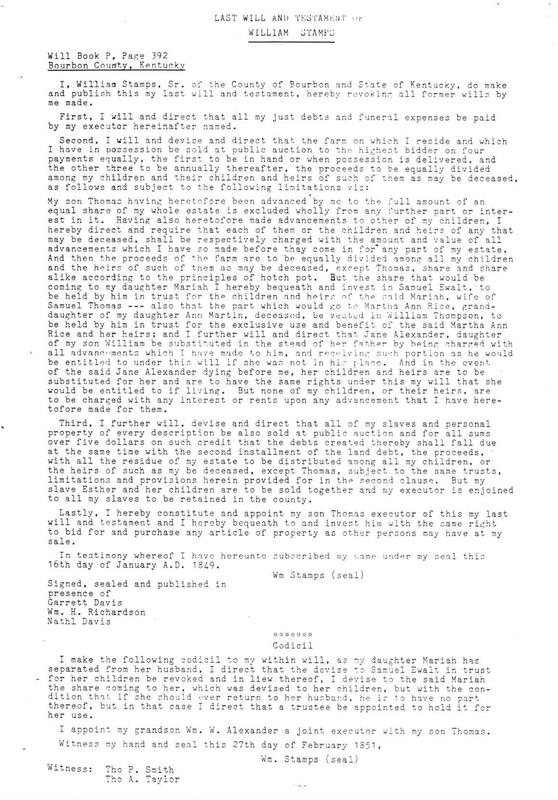 There was a dispute between Nels and some other Swede as to who was the first Swede to settle in Sioux City. The dispute was settled by a fist fight outside a local tavern. Nels won the fight, thereby he declared himself to be the first Swede to settle in Sioux City. (big deal, Ha)! A few years ago, there was a historical section in our newspaper. 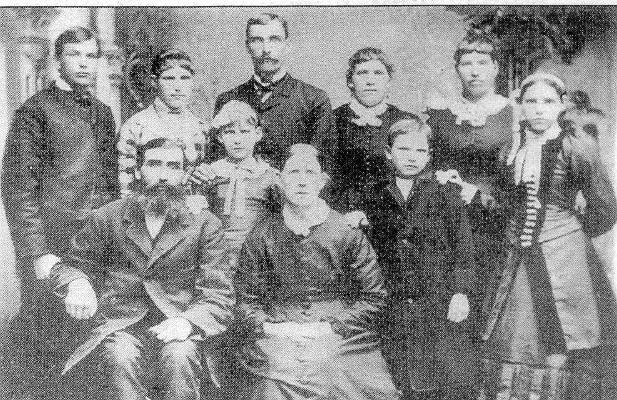 There is a good picture of Nels's family and my grandmother (about 10 yrs old at the time) There claim to fame was that they were the first Swedes to settle in Sioux City. I have the picture and wish I could scan it and send to you but, I will probably have to wait for Page to show up and do it for me. I will try though, ha! I remember being down town at a big flea market. Someone had a list of all the boarders in the in their boarding house. Well I got to go. I have things to do. I will find the family tree and get you the other info later. [S59] 1900 Census;, Nels was living with Gus Nelson family and other boarders. This was several months following death of whis wive Marie. Nels is shown as the father in law of Gus. Wife of Gus is named Matilda. [S356] Unknown subject unknown repository, This is an old citation and don't know why I thought it was his second marriage, but in 2005 I received marriage date to Erliffa Stephens as 1826. This seems to confirm my thought about being his second marriage. MARRIAGE* 18 May 1888� She married Shadrick D. Floyd, son of Amos Kinchen Floyd and Anna Luttia Mc Daniel, on 18 May 1888 at GA "Sometime prior to the 1900 Census Tom left town with his brother in-law's widow and second wife Betty "Bett" Stewart. Shade Floyd was married to Eliza Davis (Tom's sister) then Bett Stewart. Tom and Bet are found in the 1900 census living in Henry County, Alabama. Tom and Bett later moved to Rebecca Georgia where they both died. Bett died of TB and is buried in Pleasant Hill Cemetery without a headstone." 1867 – Married Martha Ellafair Blount Davis. 1874 – Zachariah Davis is born. wife) to Alabama, later to return to Rebecca, Turner, GA. and live with Zachariah Davis (his son). Betty dies in Rebecca of TB. 1897+ – Tom married Isabel Isabel – who and how do you know? 1902 – Zach married Elmira Precilla Ross. 1903 – Martha Ellafair Blount Davis died in Rebecca, Turner, GA.
1910 – Census shows Tom & Isabel living with Zach and Elmira. 1910+ Zach ran off to FL and remarried. 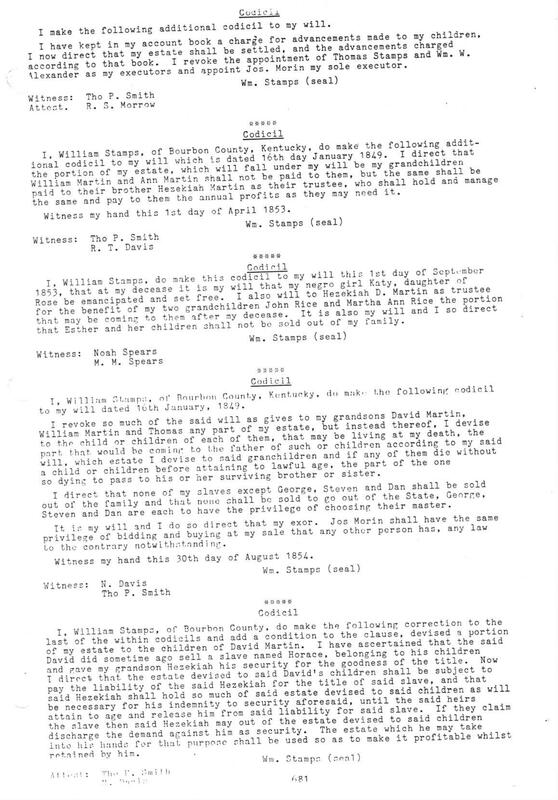 1920 – Tom & Elizabeth living in Turner County, GA. Who is Elizabeth? 1920 + Tom died in Rebecca. I have Tom dying in August of 1900 I got this information from papers my aunt had which I believe were completed by Doris Dixon. 1948 – Elmira Ross Davis died in Rebecca. 1845 – Shadrick Floyd born. 1866 – Married Martha Elizer “Lizer” Davis. I have her alternate name as Margarete . Came from same “Doris Dixon papers mentioned above. 1888 – Martha Davis dies. 1888 – Marries Betty Stewart Burns. Stewart is a new name – thanks. Do you know more? 1888 – 1897 Betty Floyd runs off with Tom Davis. 1900 – Shade living with Amos Floyd. 1902 – Shade marries Mrs. Polly Hartly Paul. Hartley is a new name to me – thanks.